The first start for the hoards of exams begin with the UIIC Assistant Preliminary examination 2017. This may be the star of the success for all the candidates who are appearing for the preliminary examination and may be if the exam falls in the easier level, then everyone can achieve their dream of tasting the success in the first place. There can be many slots for the exams tomorrow and anything can come in the way, keep aside all that thing and march towards the victory line in the UIIC Assistant Preliminary examinations 2017. Team Bankersdaily wishes all the aspirants for the UIIC Assistant Preliminary examination 2017 and to come out with achieving their dream of going to the next level in the examinations. Also do note that if your going to the exam in the first, you are in for an advantage much less than the others, but sharing and caring is what we have learnt from the start right. So if you are going to the exam in the 1st SLOT of the UIIC Assistant preliminary examination 2017, you may help the fellow aspirants who may have the exams in the next consecutive slots. You can be of much help to them and they can too achieve their success. This is the first time, the UIIC Assistant Preliminary examination is happening in this new format and so we cannot share the previous cutoff marks. So first time is something special and you are going to clear the obstacles in the exam and get to the finish line soon. In which way you can help the other candidates ? 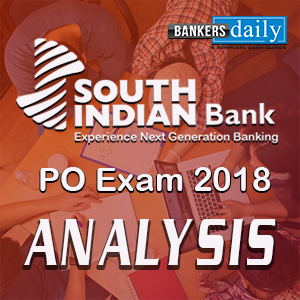 Bankersdaily will be updating the exam reviews , analysis and the questions asked in the UIIC Prelimianry examination of various slots and also the important questions and their difficulty level of the examination tomorrow. Also our expert team will also mention the number of good attempts for each . so that the candidates can gain an insight about the UIIC Assistant Preliminary Examination 2017. The overall expected cutoff for each slots will be updated before the next slots gets over and so the next slot candidates can determine the level of the questions asked in the examination. The UIIC Assistant Preliminary Examination is going to be in the easier level according to the previous examinations which are conducted in this year. So brace yourselves for the number of questions, you could attend in the UIIC Assistant Preliminary Examination 2017. D.1-5) Study the following information carefully and answer the questions given below. Eight persons P, Q, R, S, T, U, V and W lives in eight storey building but not necessarily in the same order. Lower most floor is numbered as one and the above floor is numbered as two and so on. T lives in sixth floor and there is one person lives between T and Q. S lives in even numbered floor immediately above W but does not live in second floor. 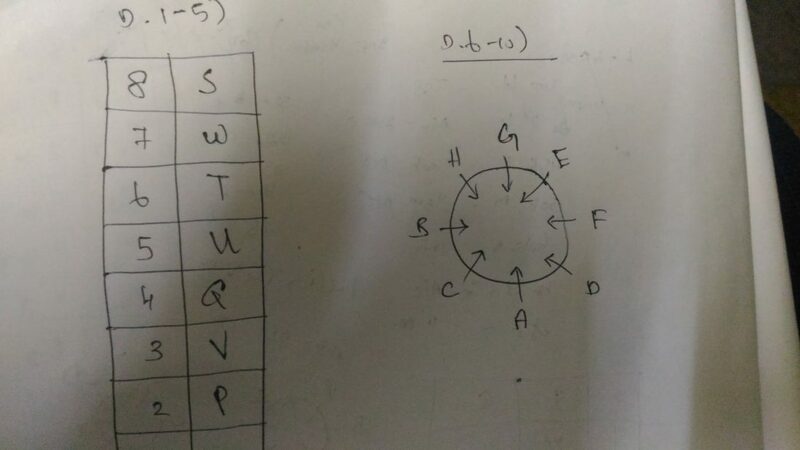 The number of persons live below W is same as the persons live above P. Three persons live between U and R but U lives above R.
Eight persons A, B, C, D, E, F, G and H are sitting in circular table facing the center. Two persons are sitting between B and D. E sits second to the right of D. Three persons sit between D and H. A sits immediate right of C. One person sits between F and G. One person sits between A and F.
Q.11)How many such pairs of letters are there in the word ‘IMAGES’ which have as many letters between them in the word as in the alphabetical order? Perimeter of a square A is 64 cm. Perimeter of another square B is 32 cm. What is the perimeter of Square C if the area of Square of C is difference between the Area of Square A and B? A, B, C, D are invested in the ration of 2: 3: 4 : 9. The total share of A and D is 55000 then what is the total share of C and D? Sum of three numbers is 200. If the Second number is one-third of First and third number is One third of First then find the difference between First and third number? Which one does not belong to the Group? 1, 2.1, 3.7, 5.9, 8.8, ? How many Questions have you attempted in UIIC Assistant Prelims 2017? 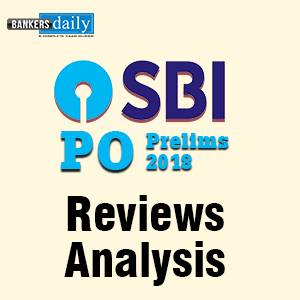 We are expecting your valuable feedbacks about IBPS RRB Prelims from the aspirants side those who are attending on 1st Slot. How many such pairs of letters are there in the word ‘IMAGINES’ which have as many letters between them in the word as in the alphabetical order? anyone remember answer of time and distance question?upstream downstream wala? whats the ans to this? my ans is 93 why are we ignoring +/- sign? do u remember answer of upstream downstream question? Guys 1:15 is reporting Time or exam time. Questions asked in UIIC. A and B can complete the work in the ratio 3:5 together finish the work in 71/2 days how many days A alone done the work. What type of passage asked in English section ? can anyone plz tell the number series asked? Can u plz tell…what is the logic of 2nd no. Series ? ?